Humans first began collecting and growing edible grains, fruits and roots, and corralling wild animals for meat, milk, and material goods thousands of years ago. Ever since, we have been shaping these plants and animals to meet our needs and desires. Compare corn to its ancestor, teosinte, cattle to the aurochs from which they were derived — or any other crops and livestock on which we rely to their wild relatives — and you’ll find the remarkable story of human agriculture and the transformative power of artificial selection. The success our ancestors had in creating the modern cornucopia of domesticated plants and animals is all the more remarkable for their near-complete lack of understanding of where new traits come from or how they pass from one generation to the next. They didn’t know that every trait they favored arose through one or more random alterations — mutations — to a species’ genetic code, passed on from parents to their offspring in the form of DNA. Invisible to the farmers, herders, bakers and brewers whose actions dramatically altered the way domesticated plants and animals look, taste, grow and behave, thousands of years of artificial selection have wrought an even more astonishing transformation in these species’ genetic makeup. Up to millions of single changes in the letters of the genetic code — along with gains, losses, duplications and reorganization of individual genes, and sometimes major changes in the structures of entire chromosomes — now separate the domesticated crops and livestock we rely on for food from their ancestors. Human intervention has so altered the course of evolution that biologists consider many domesticated organisms to be entirely new species of our own creation. Thus, as much as human history is the history of agriculture, it’s also the history of genetic modification of plants, animals and microbes — which enabled humanity to overcome the myriad obstacles they faced over the millennia. It is safe to say that, without systemic genetic modification of crops and livestock, civilization would not exist. Humanity now faces a new and daunting set of challenges, with agriculture once again at the center. We have to feed a growing population, but farmers and their crops struggle to adapt to warmer temperatures and altered weather patterns. And livestock, a pillar of our food system for millenia, are major culprits in climate change, water shortages, biodiversity losses and massive degradation and destruction of forests and other ecosystems — compelling us to quickly move to a predominantly plant-based diet. To meet these challenges, we must employ all of the technological tools at our disposal. This includes our vastly improved understanding of the mechanisms of heredity and the molecular basis for traits that interest us, and powerful new tools that allow us to modify DNA in order to generate specific valuable traits, rather than waiting for them to be delivered by the random winds of mutation. But the process of genetic modification, central to progress in agriculture throughout history, has become controversial. As a geneticist who uses modern tools for modifying DNA on a daily basis in my research, and who teaches about these methods and the issues surrounding them, I worry that misplaced fears about their use in agriculture will hinder our efforts to address climate change, food insecurity and the degradation of our natural environment. Creating novel genomes by deliberate selective breeding is an ancient human endeavor, but recent advances in molecular biology have made the process more precise, focused, predictable, effective and safe. First, we no longer have to rely on random mutations (the product of errors that occur when copying and transmitting genetic material between generations) as the source of beneficial new traits. Instead we can edit genomes in much the same way you use a word processor, tweaking DNA one letter at a time, or cutting, copying and pasting within or between species more or less at will. Second, with our ever-improving understanding of the genetic basis for important traits in plants and animals, and powerful tools for understanding the consequences of changes at both a molecular and physiological level, we can actually be much more conservative and precise with the modifications we introduce. Critics of genetic engineering portray contemporary agricultural scientists as playing God — messing with nature in dangerous ways with unknown consequences. But in reality, the level of control these new tools give us demonstrates that it was our ancestors who were playing an unpredictable game of genetic roulette. Every time farmers and ranchers of yore bred a plant or animal from among domesticated stock, or crossed them with wild varieties, they created a genome entirely new to the planet. These randomly created GMOs differed from the ones that preceded them in ways that are were far greater, and with consequences far less foreseeable, than those created by modern, deliberate genetic engineering. They then introduced the results of these uncontrolled genetic experiments into the food supply, blind to the consequences, and with no oversight. In contrast, today’s genetically modified organisms are incredibly modest. They involve smaller, more carefully considered, controlled and conservative changes to DNA than were ever before possible in human history. This does not mean the process is perfect. We have an incomplete understanding of biology, and even deliberate, precise changes can have unintended consequences or, more often, simply fail to deliver the desired positive effects. But given the pressing need to continue improving the food species we need to nourish ten billion people — while minimizing the impact of agriculture on our climate — taking full advantage of the benefits of our modern repertoire of genetic techniques is a no brainer. What matters is not how we create organisms with novel genomes, but what we create, and how it will benefit humanity. Although modern genetic modification for industrial (as opposed to research) uses is best known in crop plants, it began in microbes where it almost immediately made transformative, life-saving contributions to medicine. Three million Americans have type 1 diabetes, a disease in which their bodies stop producing the essential hormone insulin. Type 1 diabetes was fatal until the early 1900’s, when Canadian researchers showed it could be managed with daily injection of insulin purified from pigs. Although it kept people alive, pig insulin was not a perfect replacement for its human counterpart, and often led to immune reactions. In the late 1970s, researchers at a small California biotech startup succeeded in engineering a strain of the bacteria E. coli that carried the human gene for insulin, allowing them to produce it for injection by diabetics. This recombinant human insulin is safer, more reliable and more effective than pig insulin, and has had a huge positive impact on the lives of the over 100,000 children and adolescents diagnosed with type 1 diabetes every year. Dozens of life-saving drugs and vaccines — used to prevent or treat heart attacks, cancer, arthritis and serious infections — are now produced by genetically modified bacteria and yeasts. The same process is increasingly being used to produce proteins used in food. The most notable example is chymosin, the enzyme used to curdle milk for producing cheese. Chymosin is found in the stomachs of baby mammals, where its curdling activity facilitates extraction of nutrients from their mothers’ milk. Cheesemakers traditionally obtained chymosin in rennet, a preparation of curdled milk taken from the stomachs of slaughtered calves. 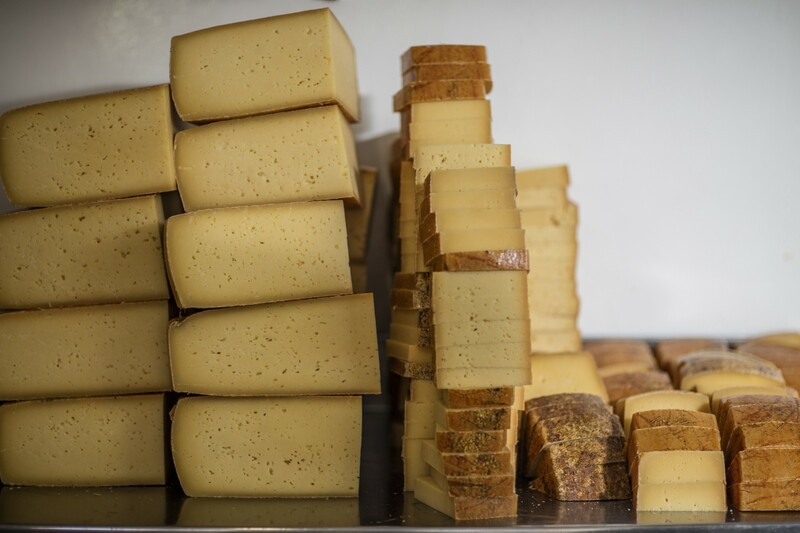 But the growing demand for cheese created a need for a safer, more consistent and cost-effective replacement for rennet. More than 25 years ago, inspired by the success of recombinant insulin, scientists in Europe introduced a gene encoding bovine chymosin into yeast cells, which enables the yeast to produce chymosin that can be extracted and purified for use in cheese. Fermentation-produced chymosin (FPC) was the first recombinant protein approved for use in food by the US Food and Drug Administration. Today, roughly 50% of the cheese produced worldwide is made using FPC instead of a protein extracted from calf stomachs, and the world is better off for it. Several years ago, Impossible Foods, a company I have been advising since it was launched, faced a similar challenge. Impossible Foods was founded to address climate change by eliminating the need for animal agriculture, the most environmentally destructive human activity and a major source of the greenhouse gases that drive global warming. 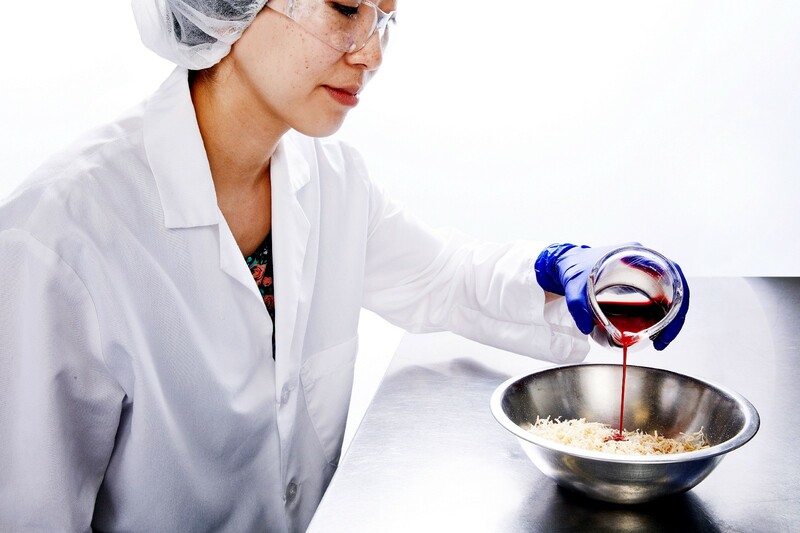 Their mission is to replace animals as a food technology by identifying ingredients from plants that can be used to recreate the complex textures, flavors and appearance of meat, fish, dairy, eggs and other foods we traditionally get from animals. Their first product, The Impossible Burger, is made almost entirely from common crops: wheat, corn, soy, coconut and potatoes. But a key ingredient, heme, the molecule that gives meat its bloody taste when raw and creates the intense, meaty flavors and aromas when it’s cooked, isn’t as easy to get. The major source of heme in meat is the protein myoglobin. It turns out that soybeans make a functionally identical protein known as leghemoglobin. Unfortunately it is made it in the roots, and digging up soybean roots is difficult, expensive and terrible for the soil. So instead, scientists at Impossible Foods engineered a type of yeast to make soybean leghemoglobin. As with chymosin, they grow this yeast in fermenters like those you would find at a brewery, but instead of making beer, they get lots of leghemoglobin, and can make it at a cost that enables them to sell burgers at a competitive price. Now, if you don’t like genetic engineering, you could argue that we don’t need plant-based meats. People can (and many do) lead perfectly healthy and happy lives eating other plant based foods. However, meat — in its many forms — is an integral part of the global diet, and even as people realize the environmental impact of meat, global consumption continues to rise, not fall. Providing alternatives to animal meat made from plants, and that are just as appealing to consumers, would dramatically slow global warming and curtail the other negative environmental impacts of animal farming. But to do this, you need lots of heme; and to get heme, you need genetic engineering. Since Impossible Burgers made with leghemoglobin generate 87% less greenhouse gases, require 95% less land and use 75% less water to produce than burgers from cows, it would be grossly irresponsible to the planet and its people not to pursue this path. Although I believe that most fears of existing GMOs are misplaced, I understand that people have questions and concerns about GMOs. New tools that make the process more efficient and precise also make it more powerful. And even to scientists like me who manipulate DNA every day, there is something awe-inspiring about our ability to engineer life. There are risks associated with using, or misusing, any technology, and genetic engineering is no exception. 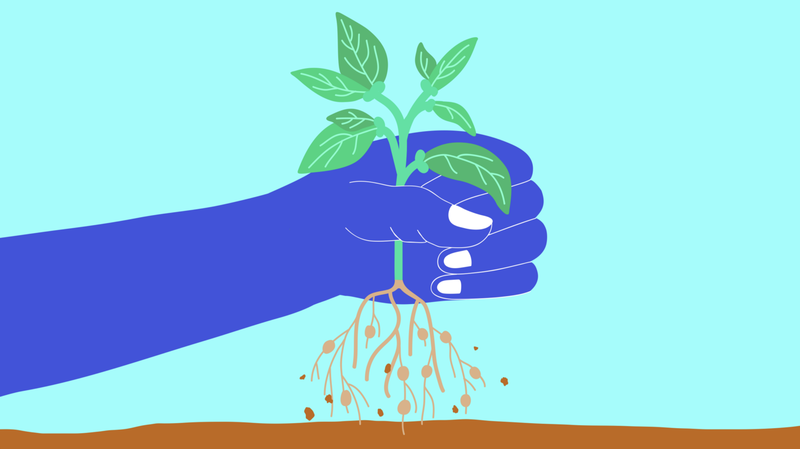 But in the face of the existential threats of climate change, destruction of our natural world, and increasing food and nutritional insecurity, the risks of gratuitously rejecting advances in modern biotechnology are far, far greater. We have to earn the trust of the general public for this to work. It starts with transparency — explaining exactly what we are doing and why. It demands a commitment on the part of every scientist and organization using biotechnology to ask ourselves if we are taking the right approach. And it requires education, and listening to, and engaging with, critics. Six years ago, I agreed to serve as a scientific advisor to Impossible Foods because I believe in their mission. Innovating how we grow and produce food is one of the best ways for scientists to help solve the challenges we face today. Impossible Foods is a model for how biotechnology can be used responsibly, for the benefit of the planet and its people. Dr. Michael Eisen is a Professor of Molecular and Cell Biology at UC Berkeley, Investigator at the Howard Hughes Medical Institute, and co-founder of the Public Library of Science. He is an advisor to Impossible Foods and is a shareholder in the company. He holds a B.S. in mathematics, and Ph.D. in biophysics, both from Harvard University. He was a postdoctoral fellow from 1996–2000 in the Stanford University lab of Patrick O. Brown, CEO and founder of Impossible Foods. Since 2000, Dr. Eisen has been on the faculty of UC Berkeley, where he teaches genetics and runs a research lab studying how animal genomes encode spatial patterns of gene expression during development.